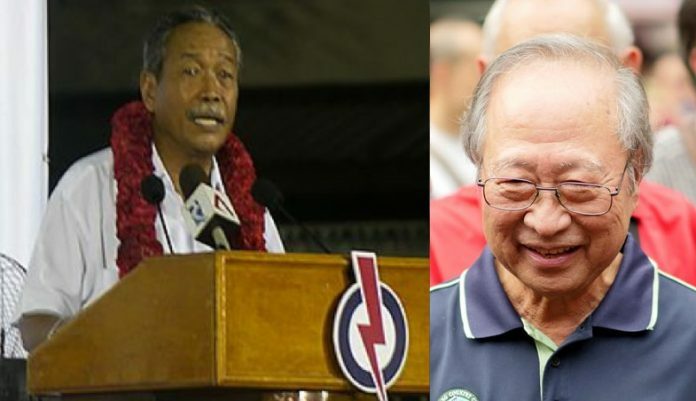 Ex-People’s Action Party (PAP) parliamentarian Mr Yatiman Yusof made some biting remarks when he was asked recently about Dr Tan Cheng Bock’s recent announcement that he is entering opposition politics. Mr Yatiman served as Member of Parliament (MP) at Tampines Group Representation Constituency (GRC) for nearly two decades, between 1988 and 2006. Having served as a senior parliamentary secretary during his political career, Mr Yatiman stepped down as MP after the 2006 General Election (GE). Since 2009, Mr Yatiman has served as one of the board members at Singapore Health Services Pte Ltd – also known as, Singhealth. Like Mr Yatiman, Dr Tan is a former PAP MP and served as parliamentarian for 26 years, between 1980 to 2006. During his time in parliament, Dr Tan became the first non-Cabinet minister elected into the PAP Central Executive Committee (1987–96). In 2011, Dr Tan contested that year’s Presidential Election (PE) and lost by 0.35 per cent to establishment favourite and fellow ex-PAP MP Tony Tan. He was barred from contesting the next PE when the Government reserved the 2015 PE for Malay-Muslim candidates, months after Dr Tan announced his intention to contest the election. Last year, Dr Tan was invited to lead an opposition coalition. Revealing that he gave this serious thought, Dr Tan said last week that he ultimately decided to form his own opposition party with other ex-PAP cadres because that felt “right” to him. Speaking to the national broadsheet on Dr Tan’s latest move, Mr Yatiman said that there is a difference between contesting a GRC and a “more personality-focused” PE. It is unclear whether he means that Dr Tan should be grateful to the PAP. It is also unclear whether Mr Yatiman sees Dr Tan’s entry into opposition politics as a betrayal to his former party.